This week we're doing things a bit differently. 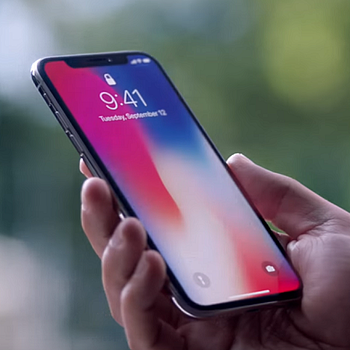 Since Apple has just announced the launch of the iPhone X in November, we thought it was an appropriate time to share some of the brand's latest and greatest videos. So here are three of the best ads Apple has released in the past few months. The company has long used video content skilfully to generate frenzied excitement in their new products, create connections with their customers and strengthen their brand values. Keep scrolling for this week's Apple-exclusive Video Worth Sharing. Back to our regularly scheduled programming next week! What difference can a portrait mode on a smartphone make? Maybe not a huge amount, but Apple weave a characteristically charming tale here of a family barbershop finding success thanks to the new feature. A fun way to bring a potentially lifeless add-on to life. Sometimes Apple focus less on the authentic human side of their products than peers like Google, so it's refreshing to see them produce this kind of emotionally-charged video. Apple Watch wearers from around the world explain how the little box has changed their lives. If you haven't seen it yet, here's the introduction to Apple's new 10th anniversary iPhone. We love the steadily building excitement that whisks viewers through over 3 minutes of complex benefits and features made simple. Sleek curves, gorgeous graphics and Jony Ive come as standard.